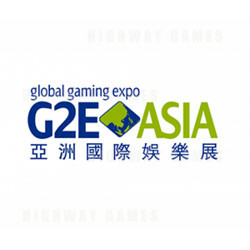 The Global Gaming Expo Asia (G2E Asia) is the premier international gaming-entertainment exhibition and conference dedicated to the Asian gaming-entertainment market. Organised by the American Gaming Association (AGA) and Reed Exhibitions, G2E Asia made its debut in 2007, and defines itself as the leading event for the gaming entertainment industry in Asia. G2E Asia is part of The Global Gaming Expo (G2E) portfolio of events. G2E is the largest event for the global gaming-entertainment industry and is held annually in Las Vega, Nevada USA.